A congressman’s daughter who has to be perfect. A star quarterback with a secret. A guy who’s tired of being ignored. A clarinet player who’s done trying to fit in. An orphaned rebel who wants to teach someone a lesson. A guy who wants people to see him, not his religion. More than anything, this book challenges the reader to avoid stereotypes and assumptions about the situations of others. It’s timely, thought-provoking, and will stay with you long after finishing. At first glance, this group of high school teens appear to be a Breakfast Club assortment. Or are they? As the story progresses, it’s revealed each is dealing with their own issues to include racism, homosexuality, religious discrimination, bullying, and suicide. The interactions between Rashid and Tad are especially compelling. With the exception of Frankie and Kaitlyn, the character development is incredible – the teens are real, relatable, and flawed. For me, Frankie comes across as a little too stereotypical, and very little information about Kaitlyn is given. All have motivations for planting the bombs, and determining the identity of the bomber may force the reader to face their own stereotypes and prejudices. You may surprise yourself. These teens experience a horrific situation, and I appreciated that the author didn’t create a tidy ending solving all their problems. 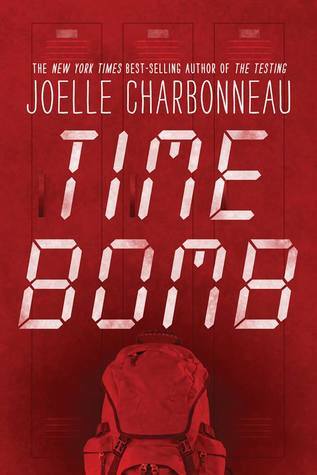 A quick, action-packed, and stimulating read, Time Bomb is so much more than teenagers fighting for their lives. This is easily a cross-over and something I’d highly recommend for book clubs. Time Bomb is scheduled for publication March 13th, 2018. It is definitely a sad reality that this, or similar, story lines pop up in real life too frequently. The mix of characters does sound compelling. Thanks for sharing, Teri. So true, Mae – seems like every time I read the news, it’s something like this. But definitely compelling characters in this story. Wow… It sounds like a truly explosive combination of characters, Teri. Thanks for sharing. Hugs. ‘Explosive combination of characters’ *snort*. Hugs, Teagan! Another interesting sounding book, Teri. This was a suspenseful one, Robbie. Great review! This sounds interesting and emotional! It challenged stereotypical thinking and made some valid points. You should look into this one – think you’d enjoy it.